The manufacturing process for commercially available cymbals involves liquid-metal casting, stamping and lathing. For safety and cost reasons, most people can't perform these industrial processes at home. However, you can use techniques that achieve similar results to emulate the cymbal-making process. While your finished product won't have the professional sheen of a liquid-cast cymbal, it will certainly create the distinctive metallic sound. Place a saucepan lid on your sheet brass and draw a template around it. Brass works because it is relatively inexpensive, durable, and has a resonant sound. 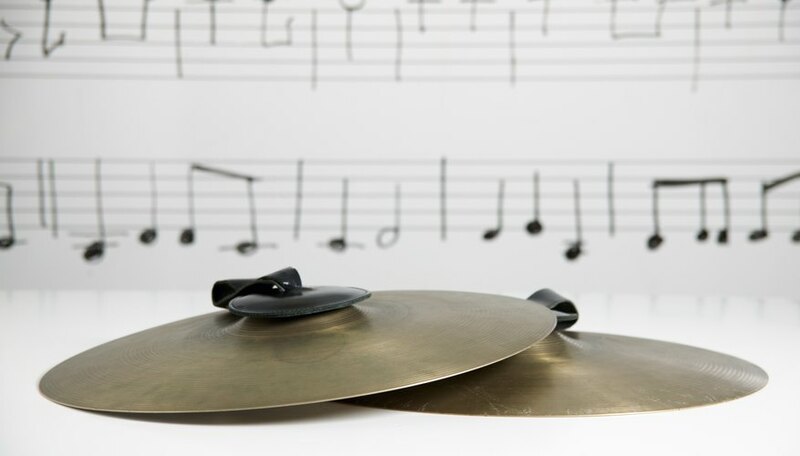 Pick a lid that is between 9 inches and 13 inches in diameter, so your finished cymbal matches a typical shop-bought cymbal. Cut around the outline with a hand-held rotary cutter, such as a Dremel tool, to create a brass disk. Leave approximately 1/8-inch between the tool and the line. File the brass disk down to the outline with a metal file. This is a more accurate way of keeping to the intended outline and also gives the edges a smooth finish. Drill a hole in the center of the brass disc, no larger than ¼ inch, with the electric drill and bit. This is where you mount the cymbal. Unscrew the handle from the top of the saucepan lid with the screwdriver. Set the handle to one side. Cover the saucepan lid in aluminium foil. Put it face down on a wooden chopping board. Put on a pair of heat-resistant gloves. Place the brass disk on top of the saucepan lid. Apply heat with a blowtorch to the center of the brass disk until it softens. Gently tap the brass against the saucepan lid with a jeweler’s hammer, to shape it. This is called “doming.” As the brass in the center conforms to the gentle curve of the lid, rotate the brass disk and gradually move the heat from the center toward the edge. This process may take 30 minutes or so. 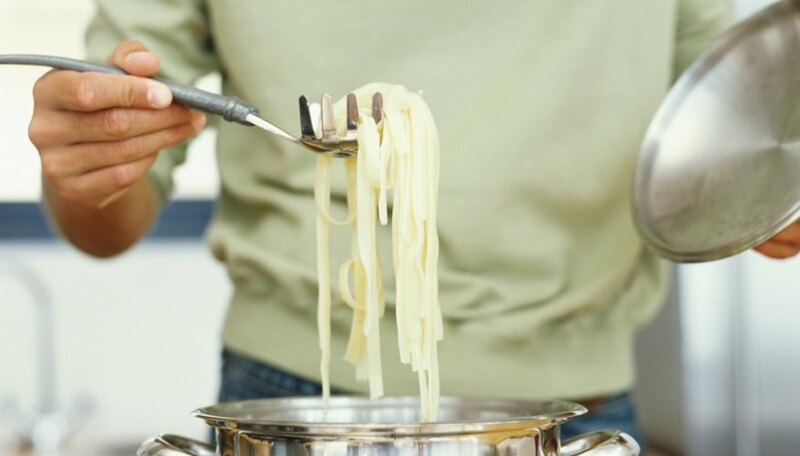 Press the brass gently and apply the heat evenly throughout. Once shaped, leave the brass to cool for half an hour. Remove the brass from the saucepan lid. If the foil is stuck to the inside, peel it off. Apply heat to the center of the cymbal. Beat the center of the inside of the cymbal with a jeweler’s hammer. Tap gently until the center takes the form of a bell. This is essential for a cymbal as the curve contributes to the sound. The bell should be raised approximately ½ inch from the main part of the cymbal. You can get a sheet of brass from your local hardware store, some of the larger DIY supply stores such as Lowes and Home Depot or online, from websites such as Themetalshop.com and metalsdepot.com Use a saucepan lid that you're prepared to throw away after. Always exercise caution when using heat equipment.